The leaf design trellis pieces are available in a circular or rectangular format making them ideal for settings where accessories need to be linked. A leafed trellis can help restore the balance of nature in plain spaces. It's also a perfect trellis for flowering climbers that loose their leaves. Let us know what you would like by completing this form. We check your order and if needed give you a call. We'll email you an invoice for payment via EFT. Once paid we freight your order directly to you. We aim to keep our range in stock and dispatch in 4-10 days. If you want to talk with us or need help - simply give us a call. Full address and postcode for delivery. Accepted file types: jpg, gif, png, gif, pdf. Seasonal newsletter with specials & outdoor inspiration? Fill out this form and and attach any pictures or relevant information and we will be in-touch shortly. This rectangular leaf trellis works as a repeat pattern that allows it to be used in multiples. Use one as a feature or continue the design up or along the wall to suit your own wall size. 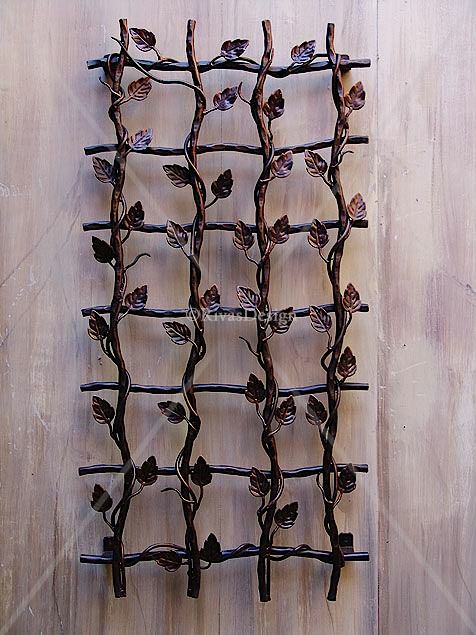 This trellis sits off the wall, casting gorgeous leafed shadows behind it in sunlight spots. 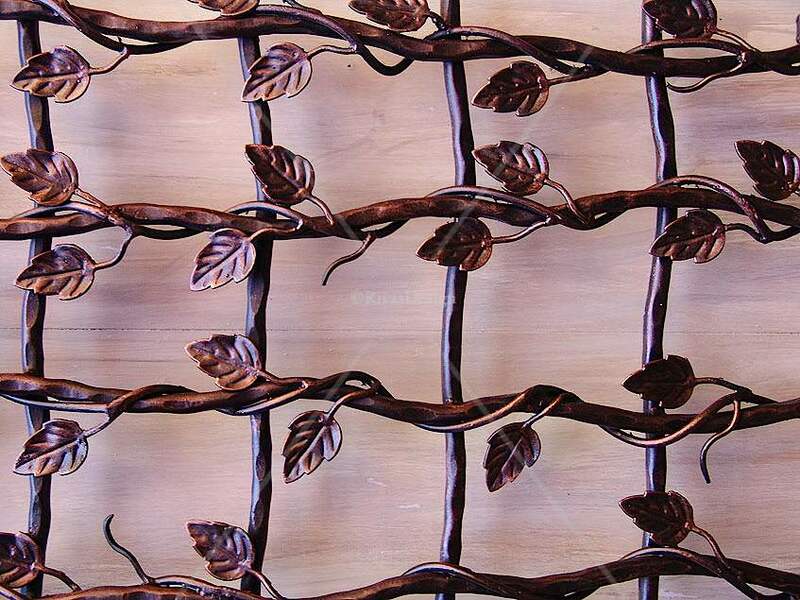 Detailed leaves twisted around beaten rods create a design that works well in many settings. Available finished in black or black brushed with copper. 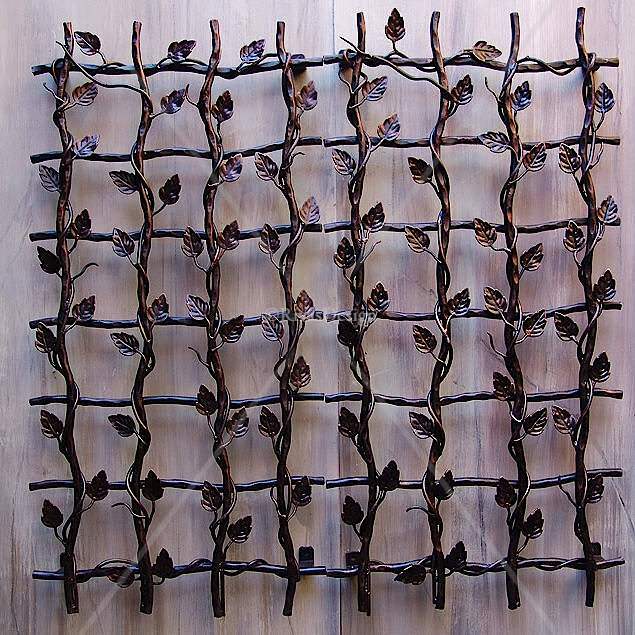 This trellis guarantees to create immediate style for plain outdoor walls. Supplied designer direct for excellent value. Delivered Australia wide - ready to hang | Sydney| Brisbane | Melbourne | Adelaide | Perth. Receive specials, inspiration and latest news from Rivas Design. Copyright © Rivas Design. No parts of this site can be copied without explicit permission by the owner.